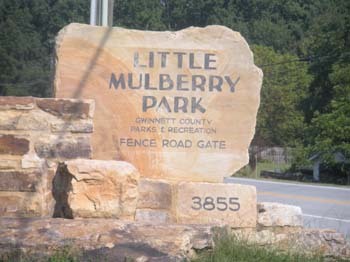 Opened officially in September 2004, Little Mulberry Park is one part of a major park-building program begun by the county a few years ago. 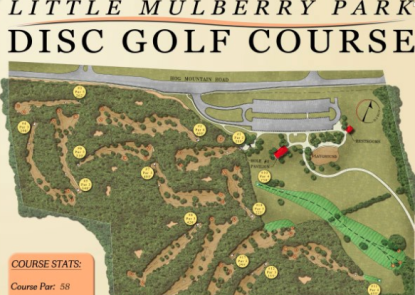 Phase one of the Little Mulberry Park encompasses 485 acres of the 890-acre park, and features five miles of trails including two one-mile paved multi-purpose trails, and a handicap-accessible trail around a pond. 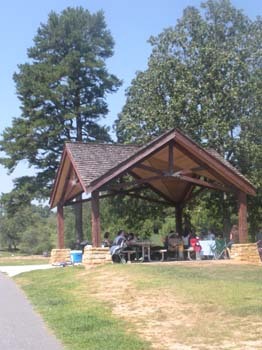 Other amenities include a large rustic-looking picnic pavilion, two smaller picnic pavilions, restrooms. 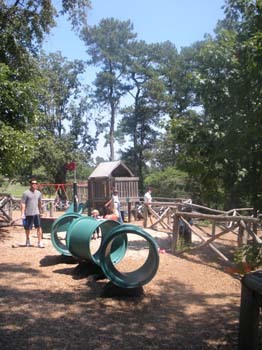 a playground, and an observation terrace at the peak of the West Meadow, which is one of the highest elevations in Gwinnett County. 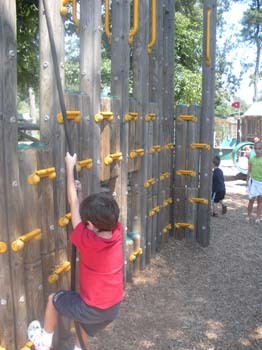 The day my two boys and I visited was busy with park visitors. 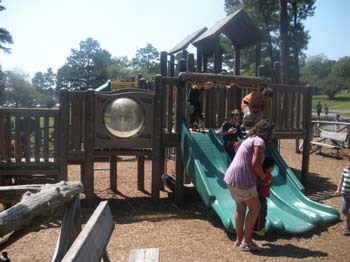 The larger pavilion was booked solid with families, families were biking and walking the pond trail, horse riders were out in the meadow and we took the 2-mile trail through the forest. The trail itself had many areas of stone steps (sometimes as many as 35-40), some of the paths were closed off and we were detoured around, but still had a great time. Later football and frisbie in the open area was part of the fun, including of course the playground for the five year old. 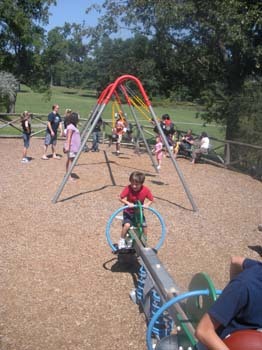 Park hours are sunrise until sunset unless posted otherwise. 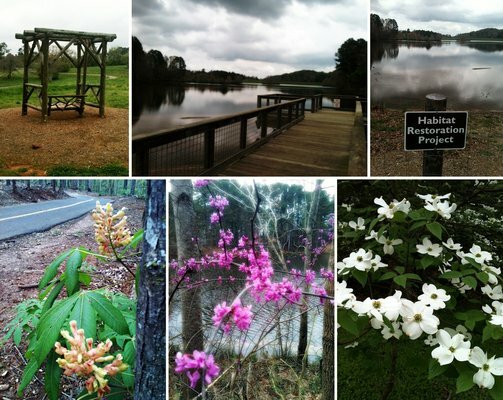 Gwinnett Largest Park Opens with a Celebration and Miles of Trails to Enjoy! The links in this page to the trail maps are broken. That is because Gwinnett County runs their website miserably. It constantly changes the URL address so that it’s never the same twice. I’ll try to host those pdfs on my site to make it work better. Thanks for let me know. where is the horse trail map? why is there not a map showing the park entrance for horses? 1300 mineral springs road doesn’t even come up on mapquest, and appears to be the entrance to a subdivision on google map. Thanks for the comment. 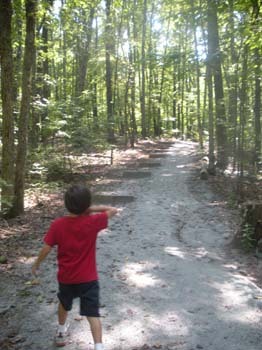 I’ve updated this post with some links to the county trail maps. 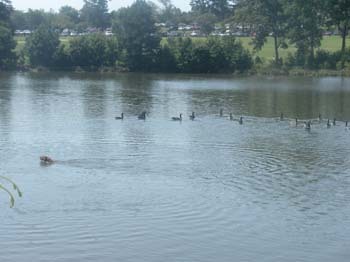 what are the fishing rules? My fiance & I are thinking of having our wedding ceremony on a dock here.would we be able to do this free? 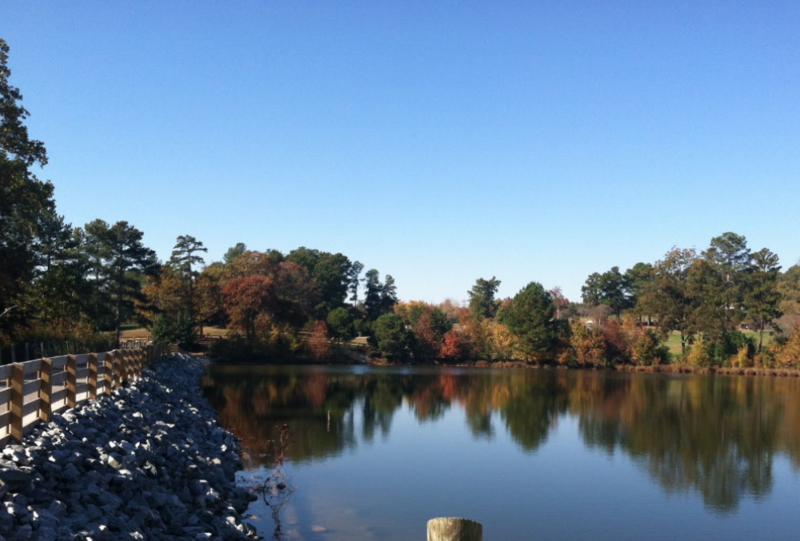 The bikers on the paved trail around the lake at Little Mulberry are becoming a danger. 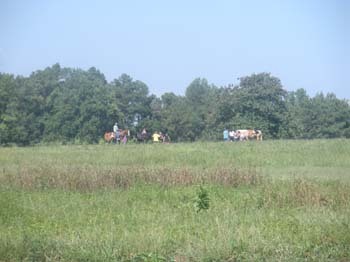 They whiz in and around or between the walkers who are often walking leisurely with strollers, dogs, and children. Is there any way this paved trail could be made for foot traffic only? * Trails open from sunrise to sunset. * Pedestrians have the right-of-way. * Bike and skate speeds must be controlled to prevent unsafe conditions. * Keep right of center and pass on left. * If you stop, get off the trail. * All pets must be on a leash and kept right of center. Place animal waste in trash containers. 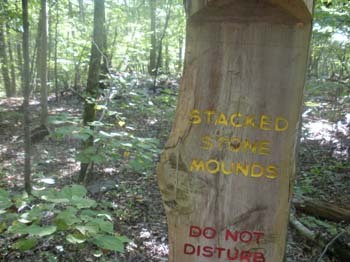 * For trail closure information, call 770.978.5270. 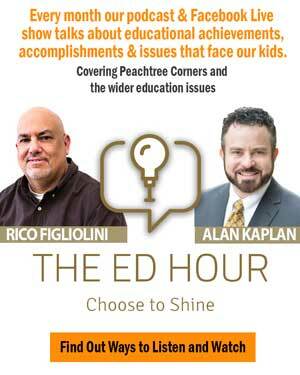 * Call to report maintenance and safety problems: 770.822.5138. * Call 911 for emergency assistance. But, of course people have to respect the rules to follow them. Stay safe. I have run the horse trail for almost every one of my 30+ milers, but I would love to know the actual distance of the trail, on one side of the park the sign says it is 5.56, but on the other it says it is 4.75, I have also measured it with a GPS watch that marked it closer to 3 (I think it lost signal a few times). Great question. 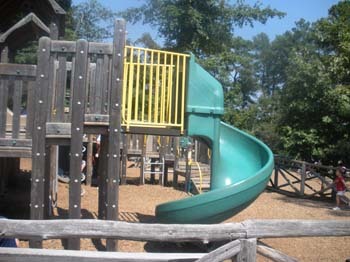 According to the Master Plan (http://www.gwinnettcounty.com/static/departments/parks_rec/pdf/LittleMulberryPark.pdf) the East Loop of the Equestrian trail is 5.6 miles, the West Loop if 4.4 miles. 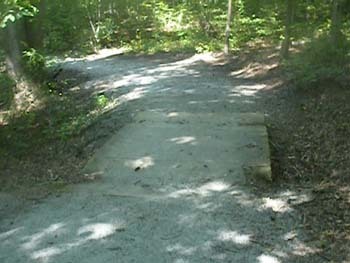 My husband just walked your trail this morning 7/5/14, and the garbage cans were removed from their site and taken down the trails and emptied. They were also beaten. Also in the garbage cans were beer cans. I don’t know how the park is monitored when closed but something needs to be done. It’s a tough to keep people respectful of the parks they use. 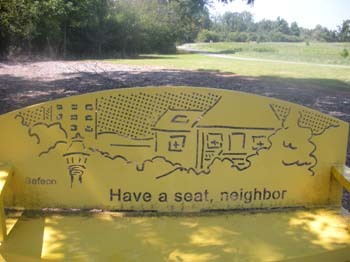 I’ll forward this onto the county parks department. 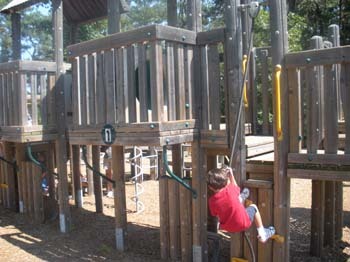 Gwinnett Park Life is an independent “cheerleader” of the parks and of course we hope people take advantage of what the county offers in a respectful way.